The lunar new year, which this year landed on Feb. 8, is traditionally celebrated in China and other East Asian countries, as well as among the Chinese communities around the world. Though New Year’s itself is only one day, there are so many festivities and rituals that they extend all the way to the 15th of the first lunar month, the day of the Lantern Festival, which falls on Feb. 22. Several of the most important events and customs that take place during the 15 days of the Chinese New Year originated from ancient legends or rituals held to revere major deities. In fact, the New Year itself comes from a legend, that of the man-eating Nian Beast. In old lore, the Nian appeared once a year to feast upon people and was particularly fond of devouring children. To ward off the beast, villagers were forced to place food in front of their doors in hopes that this would sate its appetite. Finally, the townsfolk were delivered from the scourge when a heavenly deity instructed them to make use of the color red, which the Nian was scared of. The villagers placed red paper over their houses, donned red clothing, hung up red lanterns, and prepared firecrackers. On the day of the New Year, the Nian came as usual, but was indeed repelled by the red-filled town and the exploding din of the fireworks. Chinese still celebrate the new year with firecrackers and red decorations. Also known as the Kitchen God or Stove God, the Stove King is one of the most ubiquitous traditions of the Chinese New Year. Each family would keep an altar and effigy of this deity, whose task it was to oversee and record the family’s actions for the year before returning to Heaven to give his report. To see the Stove King off on his ascent, the effigy would be burned on New Year’s Eve. Some families would set off firecrackers to assist his journey. Sweet snacks would be prepared, representing the family’s hope that the Stove King would say only flattering things to the Jade Emperor in his heavenly court. 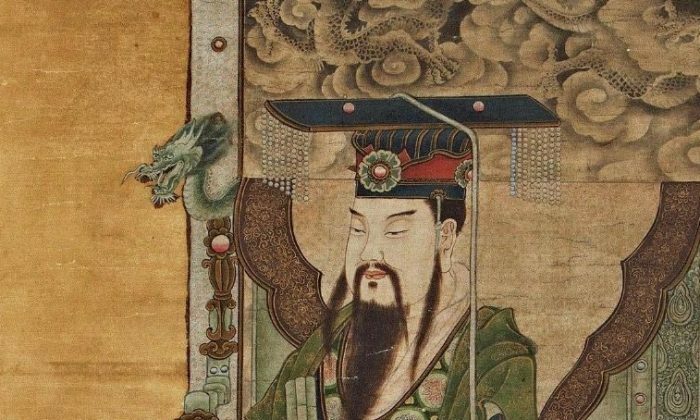 The Jade Emperor, himself a variant of the ancient, thunder-wielding sky deity Shang Di, is the most revered god of the Taoist faith. 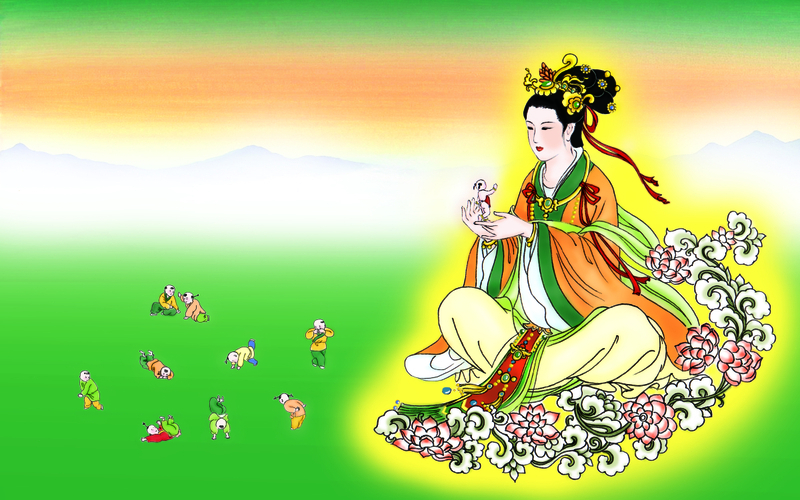 On the ninth day of the New Year celebrations, it is said that the myriad deities of heaven and earth lay aside their duties to celebrate this day, the birth of the Jade Emperor. On this day, fireworks would be set off at midnight, and grand ceremonies would be held at Taoist temples. Townspeople would offer a rooster in sacrifice to the Jade Emperor. Family members would bathe, but it was taboo to hang wet clothes or empty the trash as both were inauspicious activities. It is believed that the goddess Nu Wa created human beings on the seventh day of the new year, which is when the festival of “renri,” meaning Day of Mankind, is celebrated as the common birthday of all people. 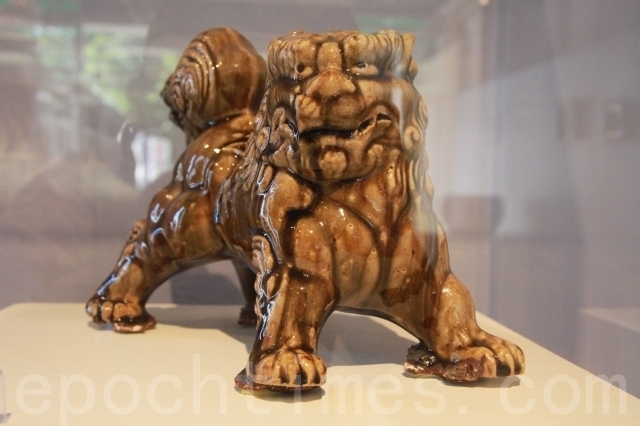 Its history dates back to the Han Dynasty. 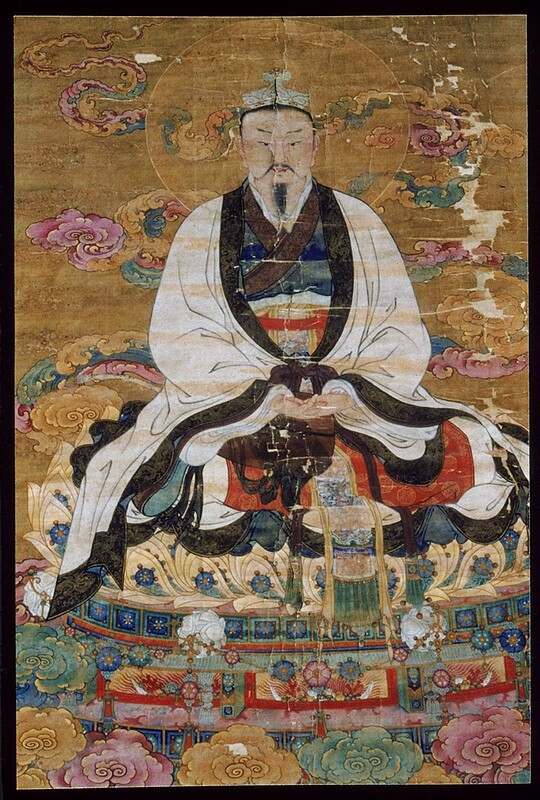 Dress is another aspect of renri, in particular, the “rensheng,” or triumph of man headdress; during the Tang Dynasty, the emperor bestowed exquisite clothing upon his subjects. Maitreya is an enlightened being associated with many Buddhist faiths and prophecies. According to the teachings, or dharma of Shakyamuni, the original Buddha, he is to surface in the final historical stage and offer salvation to all sentient beings. Widely worshipped in East Asia, Maitreya is revered on New Year’s Day, considered to be his birthday. In China, Maitreya was the first Buddhist deity to be worshipped widely, and to this day he is considered the ultimate Buddha who will one day expound the pure Buddhist dharma. However, Buddhist canon says that Maitreya will begin to teach in the Latter Day of the Dharma, an age when people are unable to understand and gain enlightenment through the traditional faiths. However, hidden in plain sight, he will be known only by those whose minds align themselves to him. those who do not recognize him!